It was announced today (Jan 28th, 2019) that Jason Blum’s production company, Blumhouse, is taking on the classic monster movies made by Universal in the 30’s and 40’s, and will begin work on a new adaptation of the H. G. Wells classic, The Invisible Man by Leigh Whannell. Whilst some may see this as Blumhouse trying to remake every franchise going (they picked up the Halloween franchise, and Jason Blum has said that he wants to work on new instalments/reboots/remakes of the Scream and I Know What You Did Last Summer franchises), for classic movie fans, this is likely to be incredibly exciting news. Blumhouse has built up a reputation for delivering some of the most profitable horror movies of recent years, even gathering a Best Picture Oscar nomination for Get Out. 2018’s Halloween was the biggest opening for a slasher film of all time. Their Netflix collaboration, Cam, was also a stellar and unique film that went online last year, and Happy Death Day 2 is being released any time now. 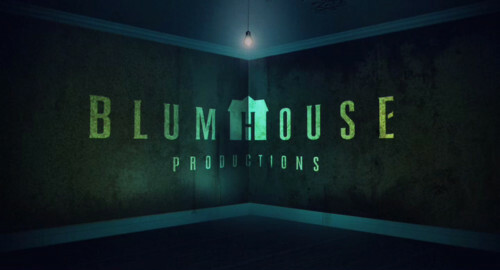 If there’s anything to be said, it’s that Blumhouse is managing to string together enough good quality pictures to keep them in the running with the big budget studios, but with the independent feel still intact. And when you’ve got an independent studio, you tend to think differently, with fresh eyes, leading to stories which push the storytelling to places larger studios sometimes fear to tread. On the other side, Universal’s recent treatment of the monster universe heritage was disastrous. Their recent attempt to put a fresh take on the old movies, with their ‘Dark Universe’ has ended in universal (pardon the pun) disdain. 2017’s The Mummy was panned by critics and audiences everywhere, despite the massive budget and the heritage of the franchise. The horror elements of the original were traded in for large CGI set-pieces that failed to entertain audiences, and the reliance on spectacle over character and emotion meant that it left the film with a Rotten Tomatoes rating of just 15%. The universe they had set in motion, with characters put in place for later instalments, and adaptations of The Bride of Frankenstein and The Invisible Man planned, were put on hold and eventually scrapped. The plan had failed before it had left the gates. And even before the Dark Universe, who really cared about I, Frankenstein, and Dracula: Untold? Handing control of the monster-movie stories gives Blumhouse a plethora of established franchises to reinvent for the modern age, with a definite angle towards the horror genre, which will keep the horror audiences happy and begging for more. Everything is set up for this purchase to be one of the biggest game-changers in recent horror cinema, perhaps even cinema as a whole. With the genre on the rise and becoming more critically accepted, (The Shape of Water, Guillermo Del Toro’s tribute to Creature from the Black Lagoon, picked up Best Picture at last year’s Oscars), many are saying we are entering a new golden era for horror, with titles such as Hereditary and Blumhouse’s own pictures being listed among the ranks of the modern classics. Going forward, Blumhouse will need to take caution and not throw all their eggs into one monster-verse too quickly, as Universal previously attempted. It was too big of a plan from the start. Marvel managed to set up a few hints here and there with an eye on leading up to The Avengers when they made Iron Man and The Hulk, without intrinsically interweaving the narratives together. They laid the groundwork for the possibility of a cinematic universe without making the eventual connection of the films an inherent part of the plot. This was a mistake, hoping on Tom Cruise, action sequences, and fans to automatically appreciate the film based on the heritage of its ancestors, to generate both the funds and the approval from The Mummy to allow the other films to take place. When this doesn’t happen, the whole plan folds with embarrassing results. Marvel played it well, putting the possibility on the table with a plan in mind, but keeping it flexible enough to pull out if they needed to without revealing they had a plan to begin with. When Iron Man was a success, they could proceed, and the rest is history. If they keep it sensible, plan ahead, with the best minds in the business, and don’t rush anything, Blumhouse can make their new mark on the monster-verse. Universal started it off originally, and Hammer gave it a bloody, Technicolor staple but, perhaps, after decades of slumber, Blumhouse can finally breathe a proper lease of life into a project that genre fans have been dreaming of for many years.